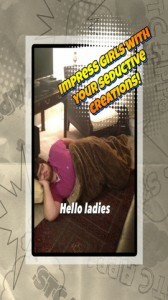 Mood Caps is an iPhone app developed by STC Apps.This goofy photography app is perfect for people who love taking funny pictures and adding hilarious captions. Think of Mood Caps as the photography app where Instagram meets the quickmeme Meme Generator. 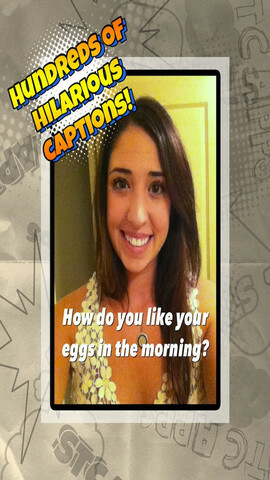 You simply snap a picture, select the mood you want to set, and place the caption on the photo. You can add filters, and then share your Mood Caps creation to Facebook, Twitter, Instagram, email, or your Camera Roll. 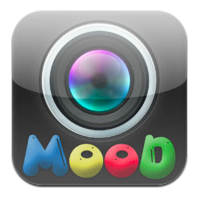 Mood Caps offers a ton of different mood settings, allowing users to evoke everything from shock and sadness to joy, lust, love, jealousy, and more. 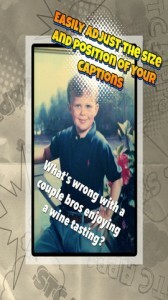 Each mood is linked to a randomly generated caption. After taking your picture and setting your mood, you can also add some filters. 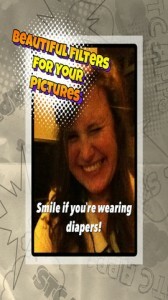 Compared to some other photo apps out there, Mood Caps seems a little light on variety. There are just 10 filters available. 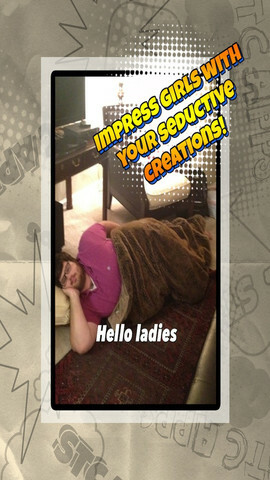 However, the filters are all lovely…even if waiting for them to apply can be a little frustrating. This 3-step program for enhancing your photos is pretty straightforward, like going through the line at Chipotle. This assembly-line process makes adding personal touches to your photos very simple. And in the event you don’t like any of the randomly generated captions, you can create a custom caption with ease. Overall, Mood Caps is an interesting app. It has a relatively small number of filters, so it might not appear to photo fanatics. At its heart, this is a casual photo app for casual photographers and wanna-be pranksters…and there ain’t nothin’ wrong with that. Mood Capsis compatible with iPhone 3GS, iPhone 4, iPhone 4S, iPhone 5, iPod touch (3rd generation), iPod touch (4th generation), iPod touch (5th generation) and iPad. Requires iOS 5.1 or later. This app is optimized for iPhone 5.